We, Divya Plasto Tecknik are one of the prominent Manufacturer, Exporter and Trader of a wide range of Screw Barrels, Plastic Machinery Parts and much more. The range is known for its precise dimensions, high strength and durability. 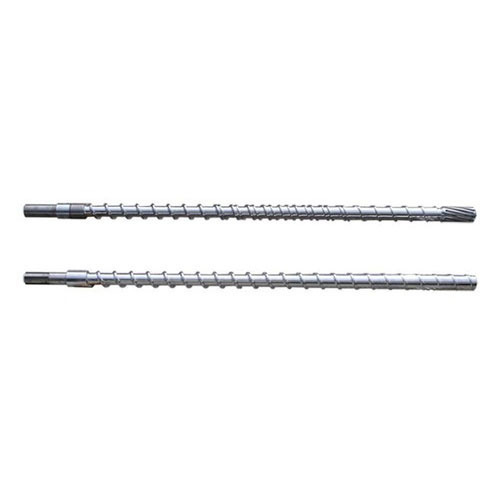 We, Divya Plasto Tecknik are counted among one of the foremost Manufacturer, Exporter, and Trader of an extensive assortment of Screw Barrels, Plastic Machinery Parts and much more. The complete range that we offer is precisely manufactured using the high-grade raw material, which is procured from eminent vendors of the industry. Our competency also allows us in offering the range of customized designs based on the specifications put forth by the clients. The range is known for its accurate dimensions, robust structure, corrosion resistance, reliability and durability. Plot No. 2001/2, Almighty Gate Main Road G. I. D. C.